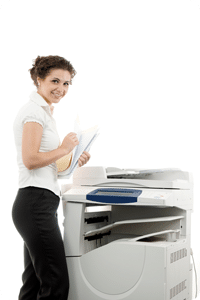 Buy or Lease a Copier? Making the decision about whether your business should buy or lease a copier can be a difficult one. You have several options when it comes to outfitting your office with quality equipment and we are here to help you, no matter which decision you make. There are a few questions you should ask yourself before you decide whether to buy or lease a copier. Of course, feel free to call one of our highly experienced copier leasing and sales specialists for further information! Have you just started a new business? Are you ramping up your hiring, furnishing your office and building an operations plan? New businesses usually make the choice to lease a copier to help preserve cash flow. Cash flow is usually in short supply when you are starting a new business. Most of the money you make goes right back into your business until that magical time when your profits outweigh your expenses. Leasing a copier can be a great way to preserve cash flow while having access to a high quality copy machine. copier? If so, buying a copier could be the choice for you. Give us a call today to discuss both options and let us help you!